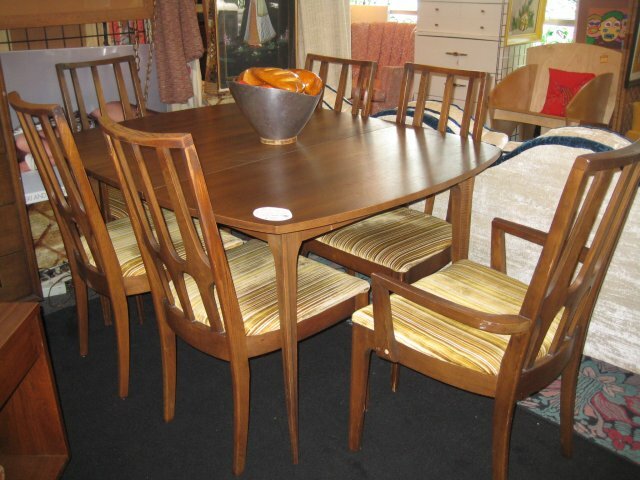 There is a plethora of Broyhill Brasillia for sale in Austin right now. Room Service Vintage has a Broyhill Brasilia dresser, regular dinner table with arm chairs and side chairs and a nine drawer triple dresser base with landscape mirror. 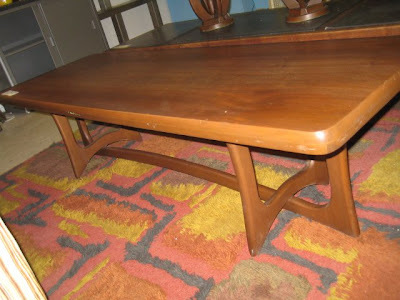 They also have a coffee table that isn't a Broyhill Brasilia, but would look pretty amazing next to any Brasillia piece. 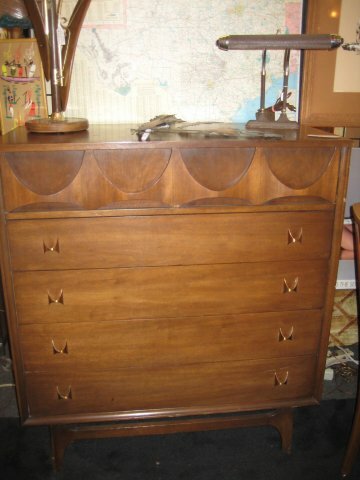 And to finish off your room, stop by Uptown Modern, who currently have a Broyhill Brasilia side table. 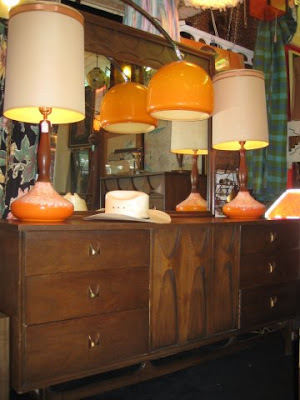 I'm not sure if it's the Brasilia lamp table (26x26x20) or the Brasilia end table (20x28x20). I know this post is really old, but I happened upon this in looking up Broyhill Brasilia, and I have that coffee table shown above in a darker color. Do you have any idea what brand that table is? I've always been curious. Sorry, Amy. I don't have any idea who made that coffee table. 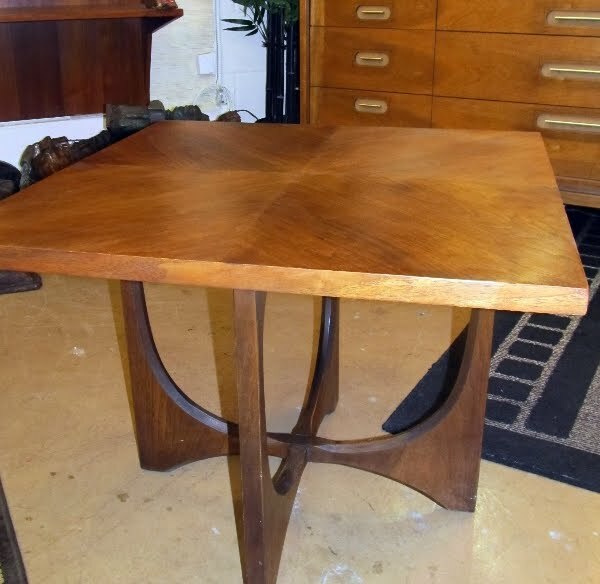 I searched for the maker when I first saw the table and couldn't find anything. Searching again just now, again turned up nothing. If you look on the underside of your table, there might be something there. Even if it's just a string of numbers, give it a Google search - sometimes that's all it takes. The coffee table is Adrian Pearsall for craft associates. I have one.